The First Live Action Film With No Human Characters Was? The Highest Flying Bird In The World Is A Type Of? In Jim Henson’s 1982 classic film The Dark Crystal, you’ll find all sorts of fantastic creatures. The main character is a curious and elf-like Gelfling. The wizards who raised and assist him are the kindly Mystics, who look very much like hunchbacked, dog-like dinosaurs. The villains of the film are the malicious dragon-like Skeksis. In addition, you’ll find a host of minor characters ranging from cute fuzzy little things to sharp-clawed crustacean-like monsters and everything in between. One thing you won’t find in the feature film, however, is a single human being. 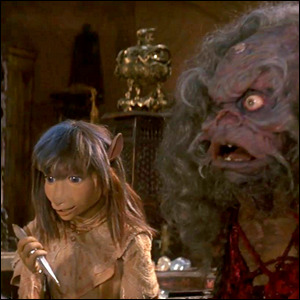 In fact, The Dark Crystal, set on an unnamed world a thousand years in the past, has no connection to humanity at all, and there are no allusions in the film to the story taking place before or after a human presence on the world. It was the first live action feature film to have zero human actors (save for the unseen puppet masters just out of frame). The milestone was so notable (and novel to audiences) that in 1982, the New York Times covered the movie with a headline entitled “And Now, a Movie Without Any Humans at All”.